It’s addictive, fun, visually appealing, and easy, so it’s no wonder Pinterest has hooked millions of users. 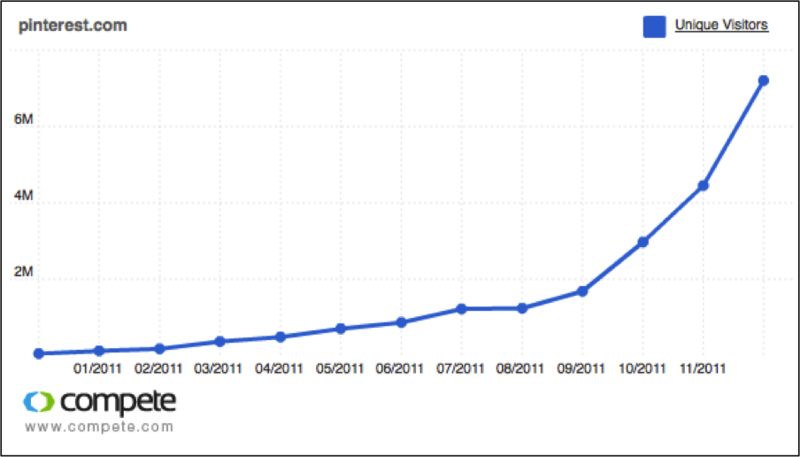 That said, the site’s growth was fairly flat from its launch in early 2010 until September 2011. But since then, it’s going gangbusters, begging the question–why now? Here are three reasons why it’s become so attractive. It’s addictive, fun, visually appealing, and easy, so it’s no wonder Pinterest, the popular visual bookmarking site, has hooked millions of users. That said, the site’s growth (below) was fairly flat from its launch in early 2010 until September 2011. But since then, it’s simply been going gangbusters, begging the question–why now? Here are three reasons why we think it’s become so attractive. 1. Pinterest rides (and defines) a new trend: social relevance. Pinterest is successfully riding a new trend wave in the social space, moving mechanisms for content sharing beyond connections (friends) and towards relevance, effectively broadening the social horizon for us content addicts. Google+ has been the first to fuel this trend, by connecting social to search and media, and expanding the notion of connections to “Circles.” In addition, according to several industry rumors, Google has expressed interest in acquiring Pinterest. 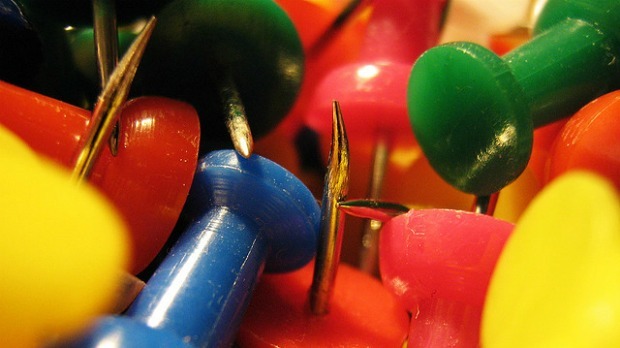 Similar to Delicious or StumbleUpon, Pinterest is a collaborative tagging system. Recent research has shown that these systems have powerful self-organizing behaviors. As the “wisdom of crowds” converges, it results in what is called a “folksonomy.” Folksonomies dramatically lower the barriers to information sharing, as well as discovery. Pinterest “one-upped” the game on link-sharing by tacking on self-expression, a most vital social currency. It nailed information relevance and social behavior in a single package. Pinterest is enjoying growth at a time few will argue that Facebook has grown overwhelming in terms of content. Even with the greatest amount of filtering and privacy controls, we’re losing sight of what’s interesting. It’s no surprise that Facebook’s IPO strategy involved announcing behavioral ad targeting, intended to inspire confidence in its revenue potential. This development reflects the new reality that we’re paying less attention to the noise and embracing new ways to discover interesting content. This is where Pinterest comes in, introducing a powerful concept, one of establishing relevance and connections through shared interests. With Pinterest, it’s the things we like that connect us. It’s a natural propensity, one that mimics the way we behave with our connections in real life. Pinterest’s focus on the interest graph as opposed to the social graph–and its success with this strategy–has cast doubt on the long-standing belief that we want to discover content primarily though our social connections. Interestingly, Facebook recently revealed that distant friends are more influential in sharing of information. Finally, while other social networks have largely focused on static sharing behaviors (think “liked,” “stumbled,” “digged,” “read,” “watched” and “checked in,” all coming soon into a “timeline”), Pinterest is focused on fluidly bringing users together through visual discovery, while connecting them to the stories and authors behind “pins,” whether they be trusted friends, interesting strangers, or brands thinking creatively. Brands should seize the opportunity to focus on relevance before connections or following. Pinterest offers a new way for to curate and share content, while engaging in conversation, as well as the means to distribute it all to Twitter and Facebook for further engagement. 2. Pinterest is visual storytelling. While the legacy of “Hyper Text” markup is still alive and strong, with search engines at its core, Web2.0 has pushed the boundaries of visual information. Pinterest has embraced the concept of “reading” images by solving the challenge of content discovery through a creative lens. Pinterest leverages our visual intelligence to increase the amount of content we are able to browse, even remember. It also only requires a little pull, while providing a lot of push, making discovery enjoyable and obviously addictive. While one can argue that Facebook, Tumblr, even blogs are also visual content vehicles, they very hardly support serendipity. 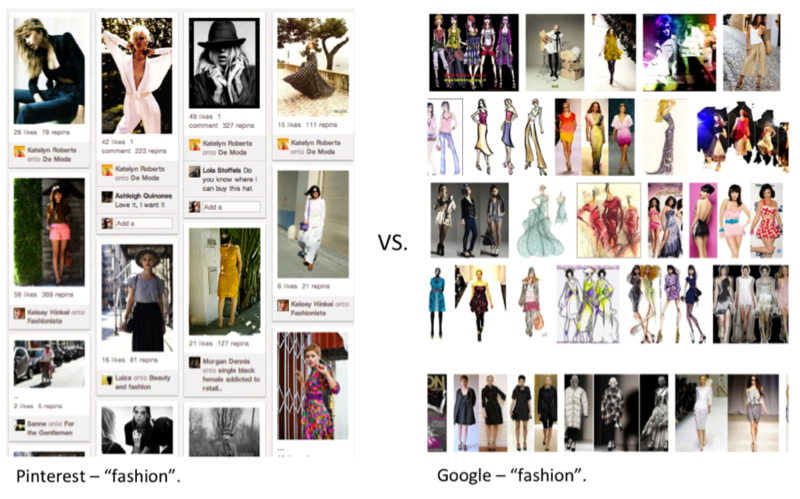 Further, if one considers Google’s image search serendipitous, a simple comparison reveals Pinterest’s advantage. The picture below shows “fashion” being searched on each, vividly demonstrating the fundamental difference between algorithmic and collaborative, social relevance. Beyond regular users, brands now have the opportunity to tell their story the Pinterest way, by upping their game and offering originality. Retailers–and everyone else–can get discovered by building relationships with products, services, and topics that users enjoy and to which they respond. The curious thing about Pinterest has been its ability to create massive amounts of inbound and outbound traffic. It has potentially solved the puzzle of placing social content clearly within search relevance, creating traffic and mass distribution through user interactions. We’ll simply say that Pinterest reportedly drives more referral traffic than Google+, LinkedIn and YouTube combined and has also become a top traffic driver for retailers (infographic). While traffic is obviously not the reason why users are flocking to the site, it does demonstrate the power of relevance in acquiring new users. In June 2011, every unique visit was already generating an impressive 128 page views for the site. “High chatter” interactions, combined with an astoundingly rising Google domain authority, currently comparable to the likes of Facebook and Twitter, were undoubtedly behind the upshot, shortly after reaching critical user mass. That said, Pinterest’s clever pinning and underlying link sharing strategy, by design or not, is one of the driving forces behind both the network’s rise and its appeal. Pinterest is truly embracing the spirit of the open web and finally bringing curation to life. It now empowers us to achieve two things that couldn’t easily be achieved simultaneously: story telling and traffic building. But most of all, Pinterest is solving the challenge of social content relevance quite elegantly. Author Nathaniel Perez (@perezable) is Global Head of Social Experience at SapientNitro. Join us on Pinterest too.